'This confirms our analysis that taxpayers’ money should not be used to fund private school chains or for-profit actors in education. Given the detrimental impact of such schools on transparency, democracy and quality, such funding is a violation of States’ human rights obligations and global commitments to free quality education,' said Kira Boe from the Danish Oxfam-IBIS. This Resolution sets a crucial precedent amidst major concerns that the fast-pace growth of private actors in education in developing countries could be undermining decades of progress in building non-discriminatory free public education systems. One major donor country, the UK, has begunin recent years to fund commercial actors as part of a contested program, while the US is considering doing the same. This led to detrimental effects on quality and access to education that this Resolution hopes to reverse. While the Resolution does not prevent the European Commission from funding small-scale non-profit private schools, such as faith-based, NGO or community schools, it calls on prohibiting funding to 'commercial establishments'. Such establishments have been regularly referred to by UN resolutions, and defined in a 2016 civil society paper signed by over 400 organisations as establishments whose one of the primary goals, although not necessarily the only goal, is 'to trade education services and to protect their own interests rather than serving the public interest'. 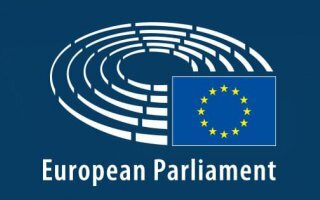 'The resolution makes clear that for-profit private providers such as the highly controversial school chain multinational Bridge International Academies, which operates over 500 schools targeting poor families in four African countries and in India, Omega Schools, which operates in Ghana and Liberia, or APEC schools in The Philippines, which are commercial establishments, do not align with EU’s principles and values. It is in the DNA of the EU and European countries to guarantee education as a right and public service,' said Sylvain Aubry, from the Global Initiative for Economic, Social and Cultural Rights. The Resolution comes at a time when controversies about public support to commercial education providers are raging. In March 2018, over 80 organisationsdemandedthat the European Investment Bank withdraw its investment in the for-profit private school chain, Bridge International Academies. In the meantime, the Global Partnership for Education (GPE), a multilateral body which funds education in over 65 countries, is in the process of finalising its policy position on its engagement with private actors. 'We now expect that the European Commission, which is currently the largest funder to GPE, will act in accordance with this Resolution and ensure that GPE set a clear policy that none of its funding is used to support commercial private schools. The European Commission must also take steps to ensure that the European Investment Bank equally acts in conformity with EU values and policies, and immediately withdraws its funding from commercial educational establishments', concluded Conny Reuter, from SOLIDAR. The EU joins a growing group of donors that have expressed concerns about the growing commercialisation of education and committed to address it. The UN Human Rights Council has published four resolutions requesting to “address any negative impact of the commercialization of education”, and France committed in March 2017 to “act against any attempt at commercialisation of education”. This new Resolution from one of the largest actors in education development aid could set the trend for all the other donors that appear unwilling to follow the UK and US’s approach. Note to editors: The below mentioned organizations support paragraph 12 of the Resolution on EU development assistance in the field of education where the European Parliament points out that “it is important to guarantee pluralism and freedom of choice for parents; insists, nevertheless, that the European Union and the Member States, in accordance with SDG 4.1 and Article 26 of the Universal Declaration of Human Rights, must not use official development aid (ODA) to support private, commercial educational establishments, which do not uphold the Union’s principles and values”.